Trinity House is the general lighthouse authority for England Wales and the Channel Islands. A deep sea pilotage authority and also administers charitable funds mostly connected with seafarers. The first Trinity House was at Deptford and then at Raycliff and Stepney in the 16th and 17th centuries. 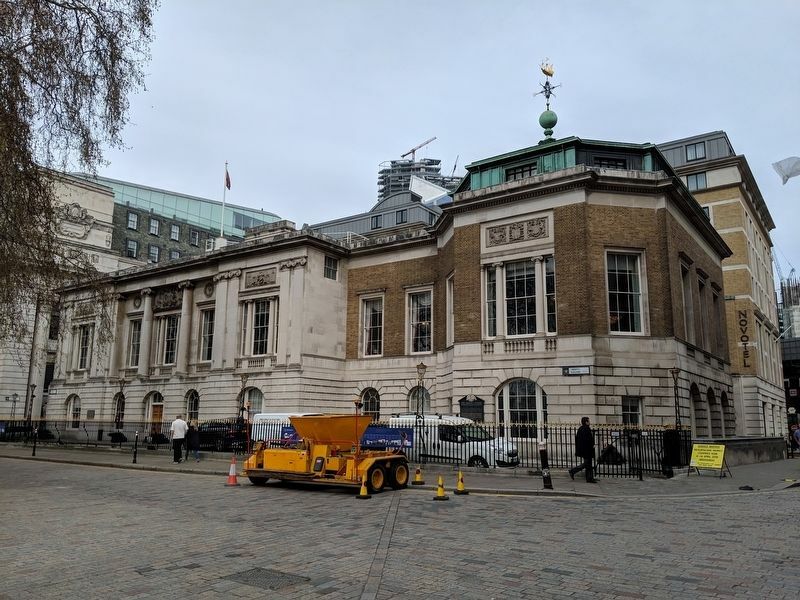 In 1660 Trinity House moved to Water Lane, off Eastcheap, the building being destroyed in the Great Fire of London in 1666 and subsequently rebuilt. It was again destroyed by fire in 1715 and the Corporation then moved to present site in 1795. Trinity House was partially destroyed by enemy action in 1940 and rebuilt in 1953. Location. 51° 30.619′ N, 0° 4.624′ W. Marker is in City of London, England. Touch for map. Marker is at or near this postal address: Trinity Square, City of London, England EC3N 4DH, United Kingdom. Touch for directions. in a direct line); Tower Hill Execution Site (about 90 meters away); a different marker also named The Tower Hill Memorial (about 90 meters away); The Tower in flames (about 120 meters away); Collapse at the Tower of London! (about 120 meters away); The Norman Tower of London (about 120 meters away). Touch for a list and map of all markers in City of London. More. 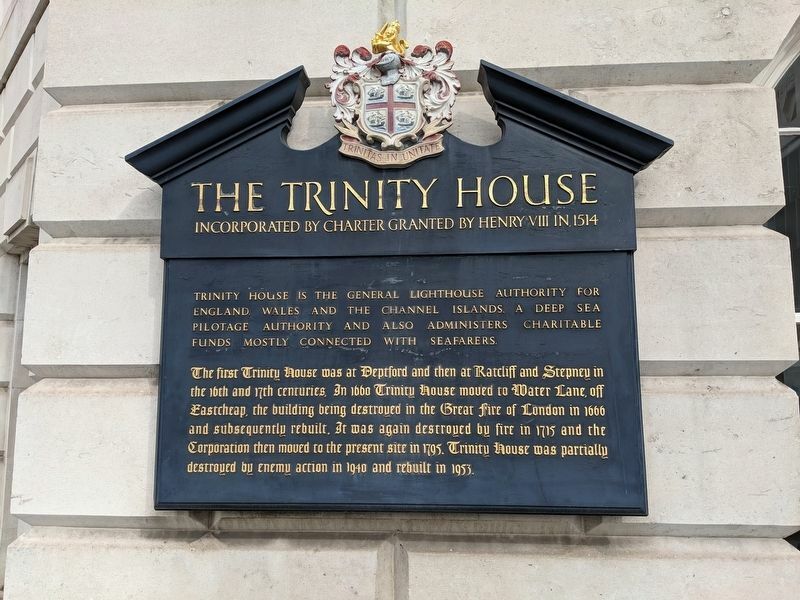 Search the internet for The Trinity House. Credits. This page was last revised on April 10, 2019. This page originally submitted on April 10, 2019, by Mike Wintermantel of Pittsburgh, Pennsylvania. This page has been viewed 84 times since then. Photos: 1, 2. submitted on April 10, 2019, by Mike Wintermantel of Pittsburgh, Pennsylvania.